Yes, the premise of this book is similar to the last few YA contemporaries I’ve read this year, but I still loved it! In fact, I feel like the only reason this book wasn't as popular as others with the “girl wants to break free from controlling parents” trope, like When Dimple Met Rishi or Love, Hate & Other Filters, was because it was released after them. As far as the overprotective-and-demanding-parents trope is concerned, American Panda showed my favorite approach. In this story, we follow Mei, a Taiwanese-American MIT student who’s pressured by her parents to become a doctor, despite the fact that she’s a germaphobe and has always dreamed about opening a dance studio. Wishes and dreams aside, Mei is convinced she has to follow her parents’ rules and the path they have prepared for her. If she doesn’t, she will be disowned just like her older brother. First, it’s set in college. 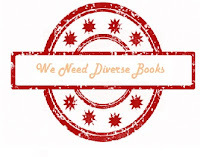 Mei is still seventeen and her voice was perfect for YA, but I was so happy to see a YA Contemporary not limited to the high school experience. Please, gimme more of that! Second, Mei’s struggle felt bigger and the stakes for going against her parents higher simply because I could feel her love for them. She feared hurting them, and that really touched me. In the past, I’ve struggled with this trope because it often felt like the main characters didn’t care for their parents at all. The MCs were convinced of their choices and didn’t give much thought to why their parents acted the way they did. It was a “I’m right, they’re wrong, so I’ll do what I want no matter what” situation. American Panda brings another perspective when it shows Mei’s parents under a different light, exploring their pasts and their own struggles. Mei’s mom steals the spotlight countless times. I could connect with both Mei and her mom, which made me wish that much harder for them to find some common ground. I thought the way Mei went from agreeing with everything her parents wanted to finally finding her voice was perfect, because she remained respectful the entire time. She not only worried about her parents, but she tried to understand their culture and where they were coming from while also learning what it meant for her to be Taiwanese-American. This entire plotline put a huge smile on my face. Speaking of smiling, I absolutely adored the voicemails and messages Mei’s mother left on Mei’s phone. The woman was hilarious! Despite how suffocating the woman was, I was in love with her the entire time. The romance wasn’t my favorite—it was as bit too quiet, but Darren was respectful and, if we’re being honest, I didn’t get the vibe that the romance was supposed to be a big thing in this book. I didn’t love it, but I didn’t mind it. 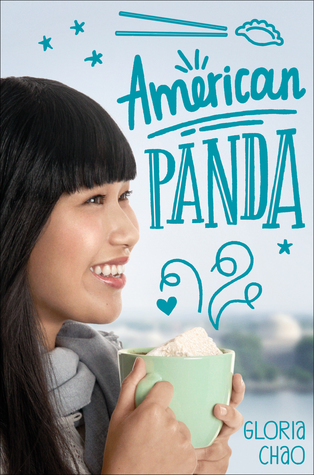 For me, American Panda was a story about family. About how Mei realized she could love those that were closest to her, but still disagree with their choices, as long as they all learned how to respect each other. Not everything went the way she wanted, but I loved the not-perfect-ending.